Publisher: Wills & Hepworth Ltd. Description: "Here's another “Robin Hood” story for you. This time we still have as our villain the wicked Sheriff of Nottingham, but, as usual, Robin comes out on top. You will be meeting again the fat jolly priest, Friar Tuck, Little John, the giant who belies his nickname, and many of the other stalwarts in Lincoln Green who “rob the rich to help the poor” in the heart of Sherwood Forest. 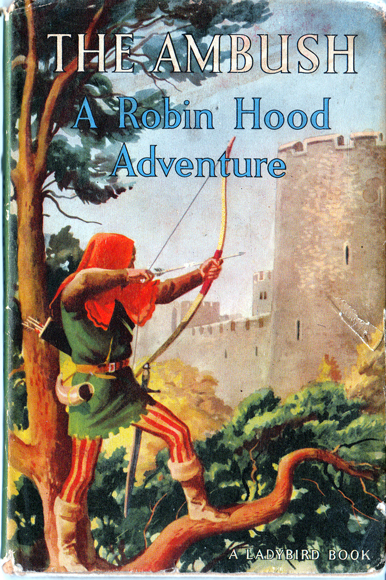 As long as there are children in England, the exploits of Robin Hood and those of his merry men will never be forgotten." Magical full-page colour paintings on each facing page bring the story to life. Pastedowns and endpapers illustrated with light brown open-winged ladybird pattern. Buff boards with green text to front and spine. A green monochrome detail from the jacket illustration appears on the front. Unclipped (2′6 NET pictorial jacket is worn along its extremities, and has two gashes on the front and rear (refer to both images). 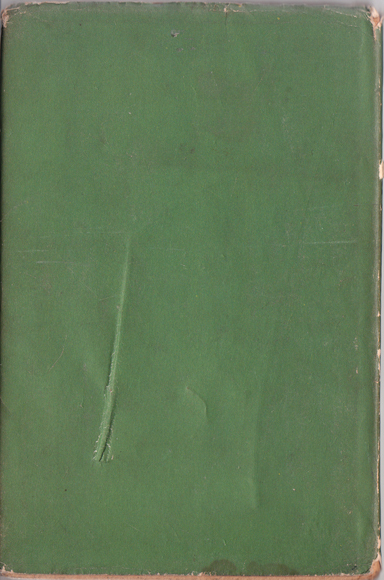 Apart from a negligible grubby mark there, or a blotch of foxing there, the book is in superb internal condition. Pages are very tightly bound. Despite the neat gift inscription for Christmas 1960 on the verso, everything points to this being a genuine first edition.